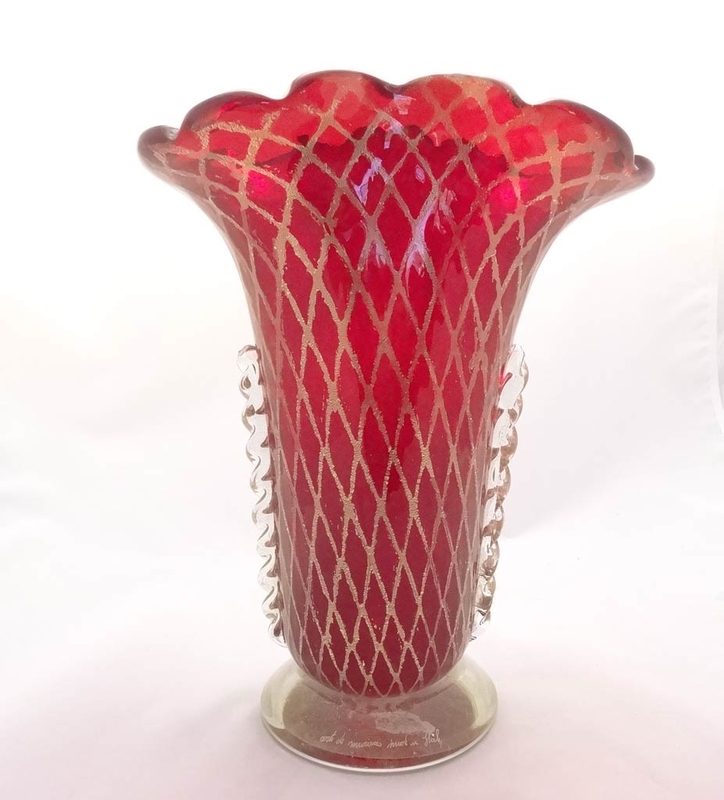 Vetro Arte Di Murano Red Reticello Vase - Murano Glass - Murano Glass Gifts Co.
Murano glass industry is the most famous in the world. 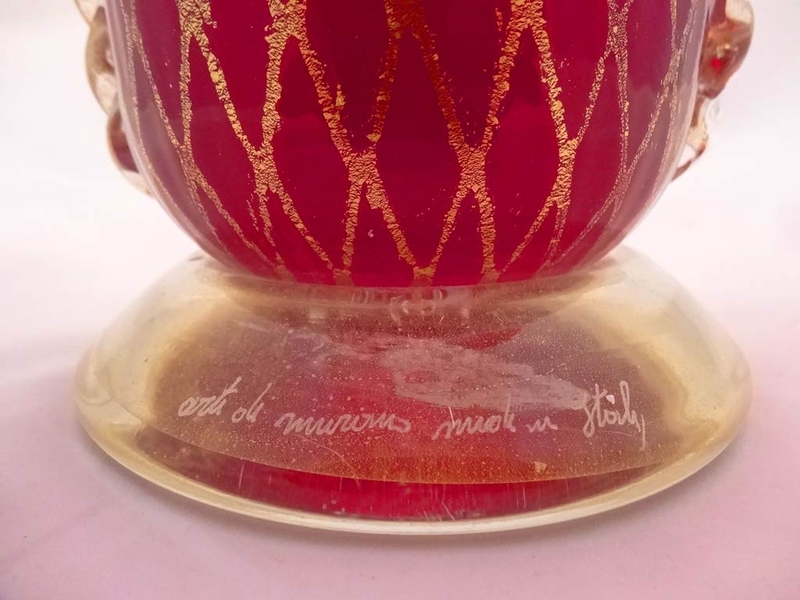 The glass industry was shifted to the island of Murano from the main land for fear of fire accidents. It was practically isolated from the rest of the world. 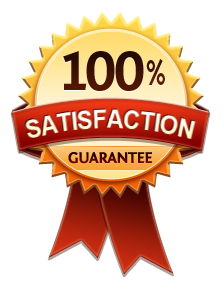 But instead of perishing, the industry flourished and the artists were at their best in isolation. Numerous unique techniques were developed. This wine red color Murano glass vase with real Gold net around whole vase is a fabulous example. 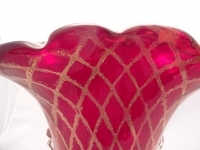 As all the Venetian glass vases, this is also individually hand crafted. 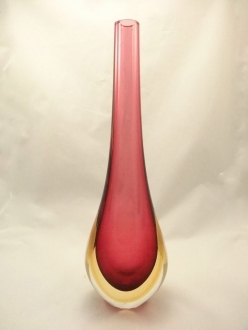 The wine red color of this vase is the beautiul attribute to the centuries crafted mastery. The real 24-karats gold base also enhances the beauty of the vase. 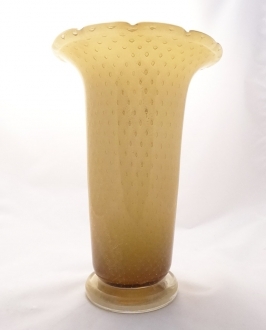 This Murano glass vase can be an excellent center piece for your dining table or could be a very good gift article. 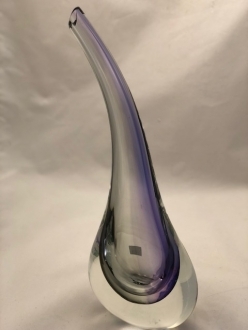 an outstanding height of 14”. 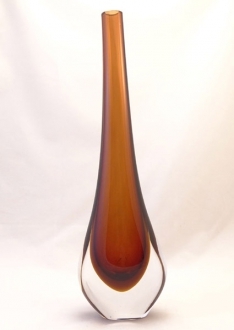 The size of the vase itself is its main attraction.